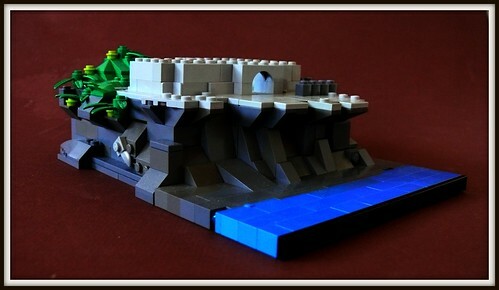 After building my first MOC that included rocks, I decided that I wanted to do it again, but this time in micro-scale. Oooo. I like this. 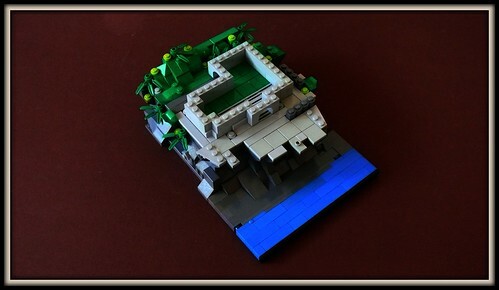 Nice microscale build. The rocks and grasses are great! The focus of the build should be the castle and right now it looks less detailed compared to the rest. Still a great little build! Excellent, I especially like the rocks and foliage! 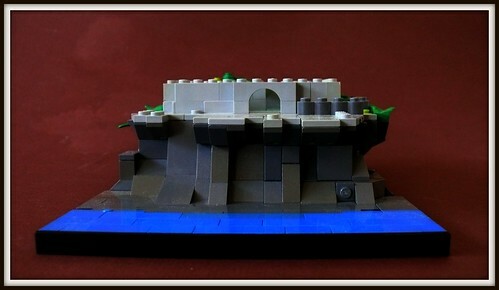 Cool little MOC, I like the techniques on the rocks. Nice! Nice. I like the color composition (blues, to greys, to greens), and the build's very clean. Be cool to see a bit more detailing in the castle portion if you were up for it. But, meanwhile, a sweet little MOC! Excellent work. I love the overhanging rock face. The studs make perfect turrets.